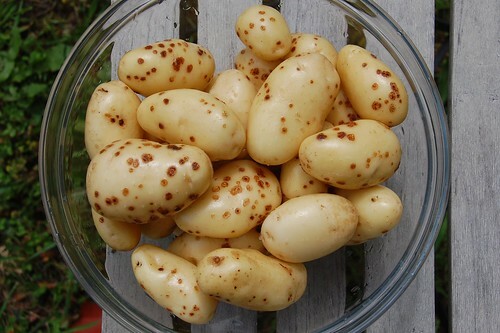 My novelty potato variety for this year is Myatt's Ashleaf. The seed tubers came from Alan Romans and he doesn't have a lot to say about it, just that it's something of an enigma and probably dates back to about 1840. On the other hand, if you google the variety then the same old unsourced factomatic gets cut and pasted everywhere, that it was created in 1804 by someone's gardener and the rights were sold to a Mr. Myatt who promoted the potatoes under his own name. What do you think? Does that look like an ashleaf to you? I'll update this entry later when I've taken some potatoes up, they're not quite ready yet. This is the yield from two plants so not a huge cropper although the dry weather may have stopped full development. 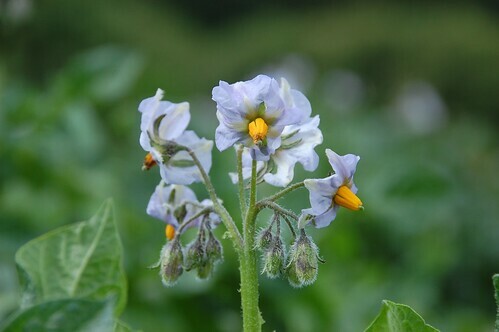 The plants are still looking healthy at this stage and have formed many potato berry fruits which makes them good candidates for breeding programmes. We ate some about a week ago and the flavour was very good. Paradoxically this is a bit annoying because in every other respect I can find no benefit in growing these potatoes over any other, but good eating is the key attribute so I may grow them again anyway. The tubers are looking rather scabby. 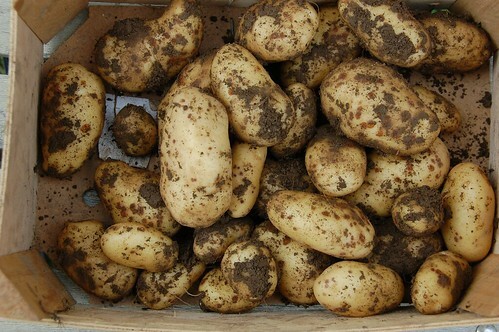 This is common scab and I don't think it's a particular failing of the variety, all the potatoes are suffering to an extent because the very dry soil has produced ideal conditions for the infection. 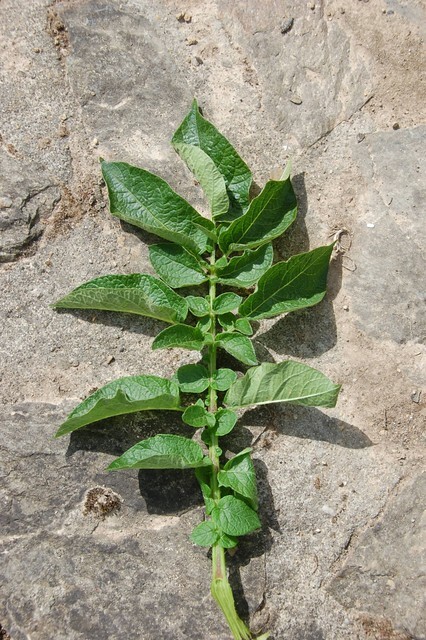 Vaguely reminiscent of an ash leaf - more particularly resembling any other potato leaf. I am growing a potato called Ash Leaf Kidney, again I don't know much about it but I will post pictures when it gets a bit taller. Thanks Peter, that will be interesting.